Having a gap between your teeth can now be solved with one or more visits to the dentist. Also known as diastema, gaps between teeth can be filled through the following procedures. 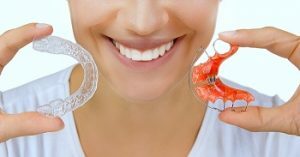 – Porcelain veneers are long-lasting, resistant to stains, super strong and the best option for people with a wide space between teeth. – Dental bonding fills a small gap using composite resin material to extend the surface of teeth. – If you have entire teeth missing, try getting dental implants instead of partial dentures. – Braces can physically close a tooth gap.